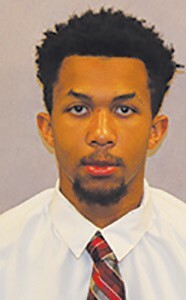 Jenkins High graduate Dimetri Chambers was named to the All-Old Dominion Athletic Conference Third Team for his play during the 2018-19 regular season. This is the second straight season Chambers has earned third-team honors. Chambers,a sophomore guard at Bridgewater College, led the Eagles in scoring this season, averaging 15.6 points per game. Chambers scored a career-high 28 points three times during the 2019 season. His 2.6 steals per game ranked second in the ODAC and he ranked seventh in assists with 3.4 per contest.